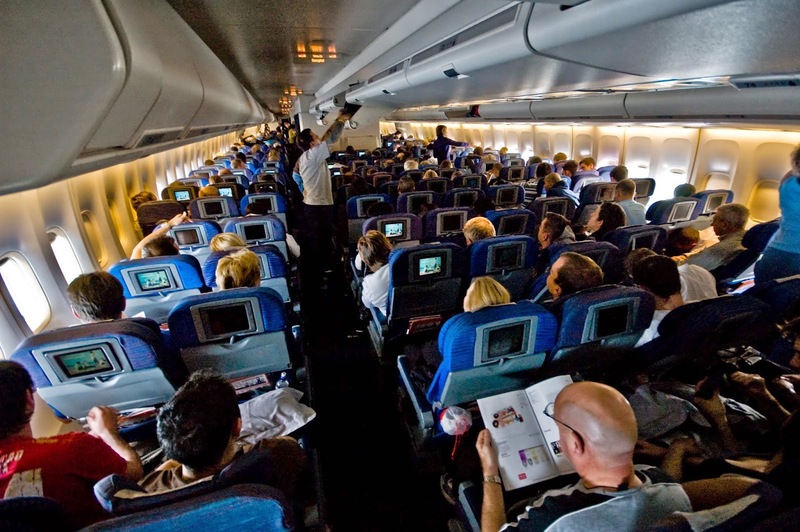 Flying, especially long-hauls, where you are sardined in between two oversize or over-talkative passengers, can be tedious. I spent a good few hours in the air last year, and each time started my journey with the modern traveler's prayer: "Dear G-d, please let the seat next to me remain empty". I struck it lucky on a few of the flights, even catching a full row on two international trips, but managed nothing like this guy. Earlier this week, Chris O' Leary almost flew solo to New York, after his flight was seriously delayed. Somehow, all the passengers were re-booked onto other flights, except him. When the plane was eventually prepared to depart, O' Leary tweeted that he had the whole plane to himself, but, just then, a second passenger dashed on-board. You have to wonder why Delta would fly a whole 76-seater plane from Cleveland to New York with only two commuters aboard. It turns out, they needed the plane back in New York, passengers or no passengers. Which reminded me of we Jews, living "away from home". One day, we're told, G-d will gather the Jewish people back to Israel and herald in the time of Moshiach. Some of the flights we will take to get there may actually carry only a single passenger. The prophet Isaiah promises, G-d will gather us one by one to take us back home. Only, then it won't be because He needs to get a $100 million plane back to base, but because He truly cares about getting each person where they belong.